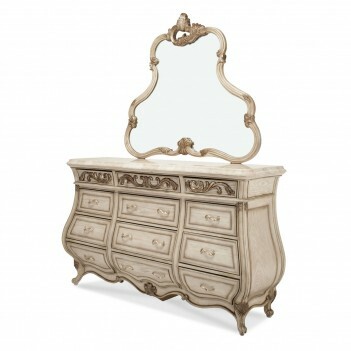 French provincial is the heart and soul of the magnificent Platine de Royale collection. 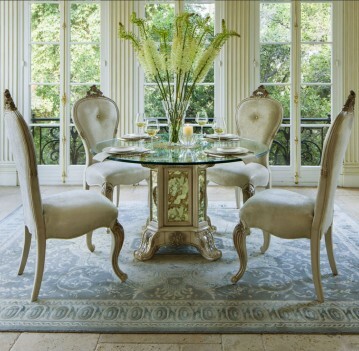 The distinctive elements of design include graceful carvings, antiqued mirror glass, and exquisite custom hardware. 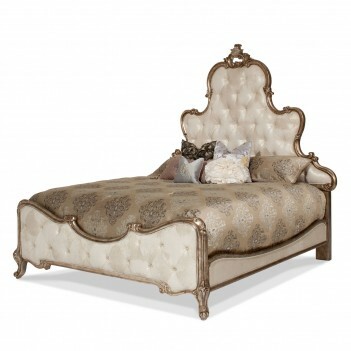 Swarovski Crystal accents adorn signature items like the bed and mirrors. It is rich and timeless, reminiscent perhaps of furniture handed down through the generations, yet stylishly interpreted for today's homes.Velvet lined drawers, and self?closing glides.